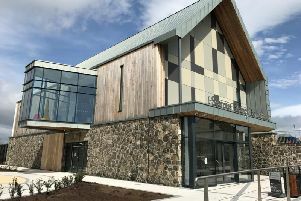 A total of 423 operations were cancelled last year at Antrim Area Hospital and the Mid Ulster Hospital in Magherafelt for non-clincial reasons. Mid Ulster Unionist Party Councillor Trevor Wilson described the number of cancellations as “scandalous” but not surprising given the wider crisis in the health service. The figures, covering the period April to 2017 to March 2018, were obtained through a Freedom of Information request submitted to the Northern Trust by the UUP. A total of 299 operations were cancelled in Antrim Hospital and 124 at the Mid Ulster over the course of the year. Statistics for the same period for 2016 to 2017 reveal there were 411 operations cancelled in Antrim Hospital and 90 at the Mid Ulster. Reasons for the cancellations included beds unavailable, staff unavailable, equipment unavailable and administrative error. “By talking to constituents we are aware many of the operations were cancelled at the last minute with little or no explanation and as a result patients are justified in feeling very angry,” said Councillor Wilson. “These figures specifically only relate to non-clinical cancellations so cases when a patient cancels themselves, or when their condition has deteriorated and therefore are no longer suitable for surgery at that time, are not included. “Cancelled operations are not just statistics; they are people’s lives. “Delayed operations often only intensify the stress and anxiety patients and their families face. A spokesperson for the Northern Trust said: “Antrim Area and Mid Ulster Hospitals continue to see a high level of demand for services and although we are pleased we have seen a 15.5% improvement in cancellations, our staff continue to work hard to ensure patients are seen as quickly as possible. “Unfortunately, on occasion, the level of emergency demand means that a small number of non-urgent operations have to be cancelled which we recognise can be disruptive for those patients. “We deeply regret the need to cancel a patient’s procedure and only do so if there is no other option or alternative.